The Sierra Madre Tattler! 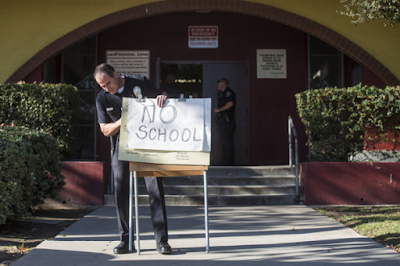 : Is Public Education Going Out Of Business In Pasadena? Is Public Education Going Out Of Business In Pasadena? Mod: Scott Phelps, who is just about the only Pasadena Unified School District Board of Education member who dares discuss real issues in public, published the following unpleasantly stark appraisal of what is going on at the local public school system recently in the Pasadena Weekly. This isn't a pretty picture, and obviously not very many people care all that much about what is going on there. Practically the only elected official discussing this in such realistic terms is Scott. The PUSD has become a poor peoples option, with most having the wherewithal to do so having bailed out on it long ago. Pasadena, a city that prefers to be viewed as quite an enlightened place has, judging by the way it does public education at least, become something of an apartheid society. PUSD is far from out of the woods when it comes to fiscal stability (Pasadena Weekly link): To address its budget crisis, the Pasadena Unified School District submitted a mandatory Fiscal Stabilization Plan to the County of Los Angeles in February, and then took a major step in implementing that plan by issuing over 100 preliminary teacher and administrator layoff notices for the 2018-19 year by the legally required March 15 deadline. This plan reduced expenditures for the current 2017-18 year by about $4 million, and by over $12 million for the 2018-19 year. The board then adopted its second interim budget on March 15, per county requirements. To try and reverse as many of the preliminary teacher layoffs as possible, the PUSD has offered a retirement incentive to its senior teachers. This would minimize the number of layoffs of more junior teachers and also the disruptive effect of teacher turnover to school sites, some of which had over 10 teachers receive layoff notices. The United Teachers of Pasadena’s (UTP) bargaining position (despite not surveying — until just this past week, results not shared yet — the many teachers who would like this retirement incentive to be enacted) has been that they won’t agree to this retirement incentive unless we agree to use the savings from it to provide raises for teachers in 2017-18 and 2018-19. Despite the PUSD’s obvious budget challenges described above, UTP has insisted on raises, even when our county-appointed fiscal adviser met with them to explain the situation. Throughout the crisis, they have been steadfast in their request for a 3 percent raise retroactive to July 1, 2017, and another 3 percent increase on July 1, which reminds one of the 6 percent raise they complain was so hard to get in 2015-16. The second interim budget approved by the board on March 15 shows that over $8 million in reductions will be needed for the 2019-20 school year in order to maintain the state-required 3 percent reserve. That means that during the 2018-19 school year, for which over $12 million in reductions have already been made and which is not very far away, we will be trying to find $8 million in further reductions or more revenue so that we don’t have to lay off more staff. We will have to submit a new Fiscal Stabilization Plan with the first interim budget in December. So describing any savings as “surplus money” is fallacious. That money simply doesn’t exist when you are already making reductions and faced with declining enrollment, corresponding flat revenue, and the annual significant mandatory cost increases described in detail above. This is magical thinking, and it is why no one can find any record of any district ever agreeing to any such use of any savings from retirement incentives, which are notoriously difficult to calculate given the many variables affecting rehiring. Yes, the 6 percent raise agreed to in the settlement in the spring of 2016 was difficult. The other two PUSD bargaining units had agreed to much smaller raises much earlier in the 2015-16 school year. But that same 6 percent raise is now a documented part of our budget challenges, as is the large increases in costs that are invisible to employees like mandatory pension increases, health care cost increases, workman’s compensation costs, etc. So pushing hard for that raise has contributed to our current challenges. Pushing hard now for raises just prevents the district from reducing the number of layoffs. The board and many fellow parents and teachers earnestly hope that the UTP leadership will help us retain as many of their colleagues as possible, and agree to the retirement incentive without further delay and without insistence on raises that the county wouldn’t allow anyway. We also encourage all of the concerned parents and teachers to lobby the leadership to survey their membership so that all members can weigh in on this important issue. Everyone reading this well written article can easily substitute the word Sierra Madre in place of PUSD and none would be the wiser. The common denominator; Bart Doyle. It appears a storm cloud follows him wherever he goes. Expensive private schools are predominantly white, most PUSD schools are primarily hispanic and black. Why hasn't this been discussed more in the media? All kids who have fled for a good education are the ones whose parents are involved in their education. It is a huge financial commitment to pay for private schools. Every private school in Pasadena awards financial aie to kids whose parents can't afford it. Salaries and pensions. In California they're killing both cities and school districts. The weakest fall first, but the others will eventually follow. yes, salaries and pensions. But not the salaries of the teachers. Just the goddamn administrators who think they are superior and hire lots of assistants, and keep adding to the District payroll, at the expense of the classrooms and teachers. THen when its time to layoff people, the teachers are in the group to be laid off. THAT SHOULD NEVER be the case. a school full of administrators and no teachers does absolutely nothing for a classroom full of kids, while a school full of teachers and no administrators could still actually get the job done!!! If the state wanted to save itself millions of dollars in wasted education funding it would abolish the PUSD, fire all of the administrators, sell that building on Hudson Street and roll its remaining schools into the LAUSD. It is a far better school system than the one HQ'd in Pasadena. I wonder how the UTP would feel about that? It would be good for the teachers, but that union would no longer be needed. If the union was optional, I wonder how many teachers would decide to continue paying dues? Soon to be decided. I’ve got the solution. Arcadia Unified can help. Since Arcadia Unified has so much extra cash, as evident by the $2.4M wasted on a 3 year contract for the non proven Alt School program, they’ve obviously got funds to throw away, so they should help out PUSD instead. Haven’t heard of Alt School? It’s an unproven program where kids sit at computers all day with limited teacher involvement, basically becoming guinea pigs for the latest fad. Started by former Silicon Valley make it rich guys who are somehow now education experts. A lot of Silicon Valley tech companies are starving for people who know how to code. People who are good at coding make a lot of money because there are relatively few people who can do it well. They are sponsoring programs at schools in hopes that some will pick up the skill and pursue it as a profession. It is estimated that in a few years there will be as many as 2 million unfilled coding jobs in the United States. 7:55, agree, but not sure if you’re implying that Alt School teaches kids to code, it doesn’t. You sir or madam can help by volunteering your time as tutors for these kids of PUSD. I already volunteer. I pay taxes. That's a mute point. Everyone pays taxes. I meant to type "moot" point. Just in case for our grammar lady. None of us are immune to the oppression of both the grammar lady and auto correct. Let’s not possibly be sexist. Is there proof the grammar lady is in fact really female? It depends on his mood. Thank you for correcting yourself. And I’m no lady. 7:04am. Your superiority complex is showing. It is so white of you to continuously make the assumptions that black and brown families have a lower economic life style. Would you also be poster7:18am.? 8:01 - while we are waiting for 7:04 and 7:18 to reply, perhaps you can supply some information supporting your point of view? A lot of private schools take at least some form of public money. 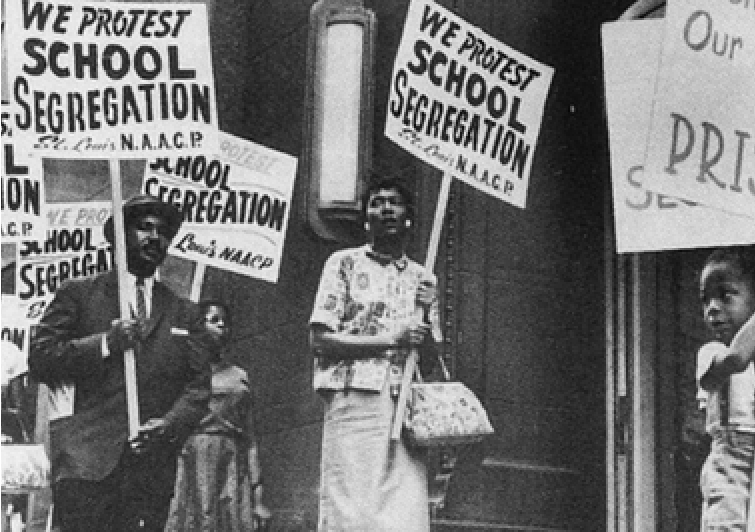 Why cantle they be forced to desegregate? Here. Allow me to fill some gaps in the education you missed out on. 8:02 We still have freedom of choice. At least for a while. Better question, why won't PUSD and California allow school choice? Because the public schools KNOW that everyone would abandon the sinking ship. PUSD death spiral. All that is left now is misplaced idealism. 7:47am you make a good case of why new McMansions work for this economy, although Pasadena has the old original Mcmansions, the old money was long ago invested in the old school system. Why else could it be that the city of Arcadia school system is far superior to that of the Pasadena system? The Asian community values education greatly. It is a bold assumption to say McMansions are a requirement for a good public school system. The "old mansions" were on huge lots and did not impose on others property and views. The old mansions were true mansions and well made. The new ones are so called because they are cookie-cutter mass produced without understanding of proportion or context. A lot of the McMansions in Arcadia look like they stole the plans from body shelf housing at any of the large corporate cemeteries off the 605 freeway. Has anyone checked if the so-called architects that crap out the hideous mansions in Arcadia are really educated architects? Sure hope the structural engineers that approve those warehouses have real dregrees. Those home owners need to learn about style, whoops I’m sorry, all that matters is who has the biggest mansion. So you have gone thru the trouble of finding out that there are no Asians students in the PUSD system? 8:02am are you advocating white flight? By now you should not be surprised that wht people loves to pontificate while they live comfortably in a predominated wht neighborhood enclave. Privilege does not mean you are denied the right to an opinion. True. You are entitled to your opinion to confirm to the rest of the non-whites how little you known from living too long inside a bubble. Political Correctness has given those with the incapacity to communicate on an interesting level the ability to believe that they have something to say. All this nonsense. The probl5with the PUSD and other districts and cities is Capers, an unsustainable retirement system. Until it is changed the problem will continue to get worse . I have to disagree, capers can’t be the problem. They’re tasty, especially on pizza. Superb, what a website it is! This website gives helpful facts to us, keep it up. It's no secret, I have met many illiterate Asian parents want their kids to be educated especially in the USA to succeed in life. That is how serious Asian parents feel about education. They need to chill out, all their insecurities are jacking up their kids. There is more to life than slamming your kid into AP calculus at Arcadia High. Get some confidence people !!! Let your kids think for once by themselves. That's black statement that Asian are insecure b/c they want their kids educated. I think you need to chill out and listen. The world is a competitive place so what is wrong with preparing your kids to do well in education. Sounds like you are jealous. As an educator and recent resident of Sierra Madre, I'm surprised and disheartened to see so many comments from people who are ill informed about that current state of public education in this country. I highly recommend watching the following videos, where Bill Moyers interviews education historian Diane Ravitch (links below). Please inform yourself about this important issue. Forget about the rest of the country, just look the state of the LAUSD, which is a disaster. Are you defending LAUSD and the teacher unions? What is the statistics? What is the % of McMansions to the regular single family housing units in Arcadia? 1%? 3%? I'm still waiting for someone to provide the statistics, especially from the anti-McMansion group. Still waiting for the percentage of McMansions compared to the regular single family housing in Arcadia. I'm just a regular folk living in a 1500sf modest house over 40+ years in Arcadia. Just wants to know what is this anti-McMansion all about or is this whole anti-McMansion movement is just Boys crying for Wolf! Sounds like a reasonable question. Do you have the percentage or not? Enjoy that 6000 mansion next to you pal. Maybe it will even be vacant. Empty McMansions are some of the world's most expensive rat housing. It appears that you have no statistics to back up your complaints. Either that or the numbers are so minute that your movement is much ado about nothing. Give us the numbers if you want to convince rest of us residence living in modest size homes something to worry about. Take a Xanax, dude. Show me a suburban town that has 6,000 mansions, idiot. 8:59, if you had any brain and knew how Arcadia residents referred to mansions as their size, meaning 6000 is really 6000 square feet, then your Dr would be proud of you. Thank you for some giving info to the 8:59pm visitor to this forum. Now all we need are facts regarding the percentage of mansions compared to other single family homes in Arcadia so that we can have serious conversation. Since nobody seems interested in doing this research for you, have you considered the possibility of doing it yourself? 10:09am. Was that Caspers, as in friendly ghost or CalPERS as in give away your money? Caspers live in the spirit vortex above One Carter. No, 10:09, the problem is the same as it is for other governmental entities: excessive layers of management justified by "consultants" who know they will be hired again and again to justify even more managerial positions and whims they claim "adds value" to work they neither understand nor really care about, all employing the latest pseudo-managerial jargon that will be replaced in a couple of years by new pseudo-managerial jargon that purportedly improves upon the old pseudo-managerial jargon. What really happens is that old cronies of new upper management are hired for the newly-created, additional layers of management and for wasteful, high dollar contracted consulting "projects," implementing constantly changing and often conflicting directives that must be followed lest one is pigeonholed as "resisting change." Dismissive of those who try to explain that the "new" directives were already tried and long ago dismissed as inefficient and expressing a general disdain for institutional knowledge, they completely demoralize the dedicated people, including middle managers who, being "at will," must bobble-headedly agree with the "genius" of those whims, but more particularly destroy the time-tested efficiencies of the most productive line staff, who actually want to help other people and do most (20-80) of the organization's work. Your dialog is way too long. Please give us the Readers Digest version. I thought it was a great comment. Does Readers Digest even exist anymore? You might want to get a few things done while you wait. 2:58 3 sentences--you can get through them! 2:43 - Great post. You nailed it!